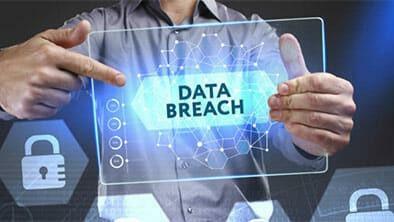 Summary: A data breach is a cataclysmic invasion of privacy which can wreak havoc on both businesses and private individuals. If you’ve been a victim of any of the latest data breach attacks, learn what you should do right away to get your life back. Yahoo’s security system being compromised by hackers in September of last year. This was said to be the biggest breach in the history of attacks, affecting more than 500 million user accounts. These are some pretty big numbers and should make any thinking person give pause to ponder what their next move should be. Change all passwords. Select strong passwords that aren’t easily guessed or manipulated by algorithms designed to crack codes. This means using a combination of numbers, characters, and upper/lowercase letters. Also, try to avoid common dictionary words, and don’t use any obvious information like your address or pet’s name. Figure out what was taken. From your street address to your social security number, find out what was stolen, so you know what to be aware of and what needs to be replaced/changed/canceled. Get in touch with your financial institutions and credit bureaus. From banks to credit card companies and stores, get in touch and let them know what’s going on. Cancel any cards associated with your accounts and put a freeze on anything that can be accessed in another way. Also, contact the major credit bureaus and have your credit frozen. An alert will also be placed on your cards/accounts, so you’ll see if the hacker tries to use it. Use protective technology and services. Protective services can use tools like encryption, password managers, and firewalls to keep your private information safe. Take your own precautions with technology like lock screens on mobile devices and two-step authentication for online accounts. A robust and thorough password manager, Dashlane also branches out to secure other important information such as credit cards and various forms of ID. Enjoy easy browser integration and cloud syncing, too. Dashlane offers a limited free version or a premium version for $20/month. Sign up with Dashlane here. IdentityForce offers affordable group protection so that you can secure your entire family against identity theft with one package. Additionally, they offer up to $1 million of insurance coverage, personal information monitoring, and power of attorney. IdentityForce has plans for as low as $12.95/month and a 30-day free trial. While they have some pretty great tools for prevention like black-market monitoring, reimbursement insurance, and email/SMS alerts, IDWatchdog’s biggest benefit is that it will help you for past identity fraud and theft. That’s totally unique in the industry and a major plus for people who experienced a data breach years ago and are only finding out about it now. IDWatchdog plans start at $14.95/month. IDShield provides some excellent data breach preventative measures including passport monitoring, social media channel watches, and $5 million in insurance, the highest in the industry. Privacy Guard covers all the bases for data breach protection. With a Privacy Guard subscription, members get daily credit report scans, monthly credit reports, and an easy to manage user dashboard so you can even monitor your credit on your own. Privacy Guard offers subscriptions for $19.99/month which includes all their tools and a 14-day trial for just a dollar. < Previous What is the Difference Between Identity Theft and Credit Card Theft? Next > Is Identity Theft More Likely for Expats?